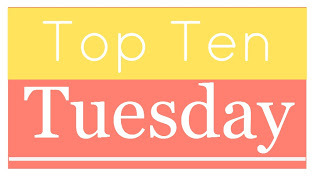 I really wanted to participate in Top Ten Tuesday again this week - I love seeing everyone's favorite authors. Since I only have a few minutes to pound out this post, apologies for not doing it proper justice with pictures and links and such. I loved your collage! There are just too many to limit it to ten! I was just telling Suey how funny it is that we can have so many of the same authors and so many that are different. Love reading friends! Yes! Worth the effort of finding pretty much anything of hers to read. And Marillier made it on my list because of you :). Many thanks again!